Co-authored by leading specialists, this comprehensive and current book provides a detailed and practical discussion of otosclerosis patient diagnosis, treatment, and management. 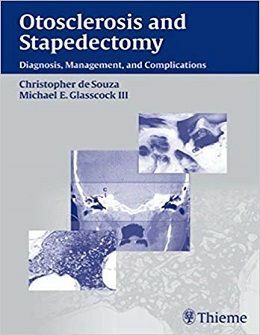 The book presents a step-by-step account of stapedectomy surgery, and also covers: the pros and cons of all lasers including the latest erbium lasers and their current applications; the analysis of recent otosclerosis studies using CT scanning and audiometry as parameters; stapedectomy versus stapedotomy; frequent complications encountered in otosclerosis surgery; and much more! Appealing to the novice as well as the experienced professional, this book is a key resource for any practitioner in the field – general ENT specialists, ENT surgeons, as well as medical students and otology fellows. Use this book to keep up-to-date on this important topic.